The SB-2 slot-loading vented bypass subwoofer is specifically tuned to compliment all full-range Control Contractor Series systems. 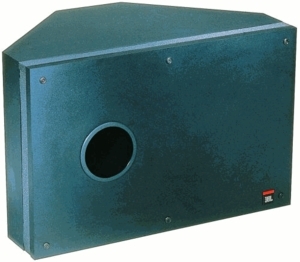 This subwoofer features a unique concept in passive attenuation called the Load Baffle, a special geometric combination of rigid and pliable materials. The SB-2 has stereo inputs and high-passed satellite outputs.